B.F. Skinner Panel about "Beyond Freedom & Dignity"
The Expert Files: Richard Culatta - Part 9: Are Teachers Ready? The Expert Files: Richard Culatta - Part 2: Is Technology a Silver Bullet? Click on Events and then use the drop down to find the 2015 State Curriculum and Technology Directors' Conference. curriculum leaders who may be interested! Please join your colleagues at the 2015 State Curriculum and Technology Directors' Conference on August 12. The morning will start with a continental breakfast and keynotes from MDE leadership including Vanessa Keesler and, we hope, the new State Superintendent. Three breakout sessions (and lunch) will round out the day. The $35 registration fee includes a continental breakfast and box lunch. SCECH's pending. Registration deadline: July 28, 2015. Established in 1998, the MSBO Voluntary Certification Program supports the ongoing professional development of school business officials. The program is a mark of distinction that reflects professional achievement and demonstrates a person’s dedication to his/her profession. This voluntary certification program is sponsored by Michigan School Business Officials (MSBO) in cooperation with Michigan Association for Computer Users in Learning (MACUL) and Michigan Association for Educational Data Systems (MAEDS). The golden Ratio can be found in many places in nature is this a coincidence or was let placed here in clear view for a reason for us to see? Ensuring the Quality of Digital Content for Learning Webinar This webinar shared strategies for ensuring the quality of digital content, including exploring the specific quality-control challenges and opportunities associated with open educational resources. The content of the webinar stemed from SETDA's latest digital content policy brief, Ensuring the Quality of Digital Content for Learning. SETDA Shares State Digital Learning Exemplars and best practices. Resources available to all of via the SETDA website that reflect many of the same topics that national and state organization are joining efforts around to support our schools. Chromebook sales in 2015 will increase 27 percent over 2014 shipments to hit 7.3 million, according to a new forecast from market research firm Gartner. Many of those shipments are likely to be for use in education, which represented nearly three quarters of Chromebook sales in 2014. "Since the first model launched in mid-2011, Google's Chromebook has seen success mainly in the education segment across all regions," said Isabelle Durand, principal analyst at Gartner, in a prepared statement. "In 2014, the education sector purchased 72 percent of Chromebooks in EMEA (Europe, Middle East and Africa), 69 percent in Asia/Pacific, and 60 percent in the United States." In the U.S., that 60 percent share going to education is more than half again the 38.6 percent of Chromebooks sold to consumers and dwarfs the 1.1 percent share of the devices sold to non-education enterprises. That small percentage of devices is in spite of efforts by Google to increase business demand with improved offline access and functions for the netbooks. "Chromebook is a device that can be considered by SMBs (small and midsize businesses) or new startup companies that do not have the resources to invest too much in IT infrastructure," added Durand. "Chromebooks will become a valid device choice for employees as enterprises seek to provide simple, secure, low-cost and easy-to-manage access to new web applications and legacy systems, unless a specific application forces a Windows decision." Most sales of the devices, 84 percent, were to North America in 2014, and that will continue throughout this year and next, according to Gartner, with just more than 6 million shipments to the region predicted for this year and nearly 6.2 million in 2015. EMEA will continue to account for the bulk of the remainder, increasing purchases of the devices from about 620,000 in 2014 to 866,000 this year and approximately 1.28 million in 2016. "After Samsung's decision to exit the European Chromebook market and focus on tablets, Acer took the lead to become the number 1 worldwide Chromebook vendor in 2014," according to a news release. "Acer sold more than 2 million units in 2014. Samsung held the number 2 position with 1.7 million units sold in 2014 and HP, a late entrant to the market, was ranked number 3, with 1 million units, thanks to its strong connection with education partners." Joshua Bolkan is the multimedia editor for Campus Technology and THE Journal. He can be reached at jbolkan@1105media.com. Khan Academy on SAT Testing and free SAT Prep materials. Propel Braddock Hills High School is integrating elements of design thinking, student-centered learning, passion-based learning and community involvement to create an environment that engages, supports and prepares students for the digital age. Co-principals Justin Aglio and Joe Oliphant present a one-hour webinar describing how they did it. Are we over testing kids? Notice this video has some strong language in it. Here is a video of how we recorded the M-Step activities. We do this so that if a student is absent the day of the activity that they will be able to watch the activity as the other students have and then take the performance task. As of 5/30/2015, the technology planning process is no longer housed in legacy MEGS. As the technology plan requirement has been eliminated from e-rate complaince, Michigan has been able to redesign the process. The new process is housed in the ASSIST platform, allowing for a meaningful, data driven plan that is integrated with existing school improvement processes. To allow districts time to acclimate to the new technology planning process, it will be rolled out over the next few years in a phased approach. Technology plans that expire 6/30/2015 will be due 9/30/2015. All districts participating in TRIG are required to have an annually updated, current technology plan. To clarify, USED had required technology plans under Title II Part D. This no longer exists. 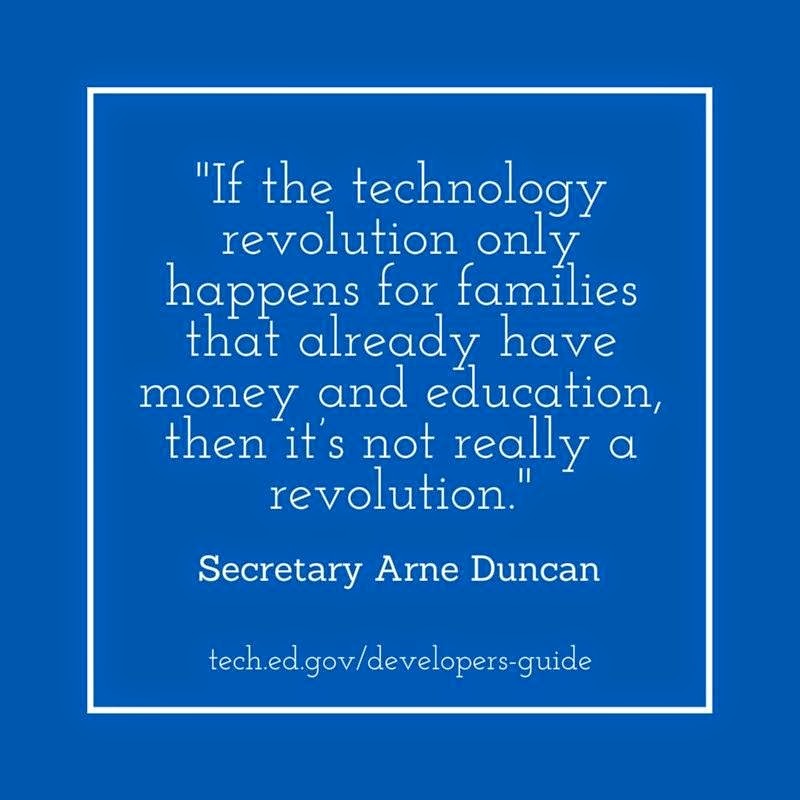 If Enhancing Education Through Technology (E2T2) funds return, technology planning may be a required component. 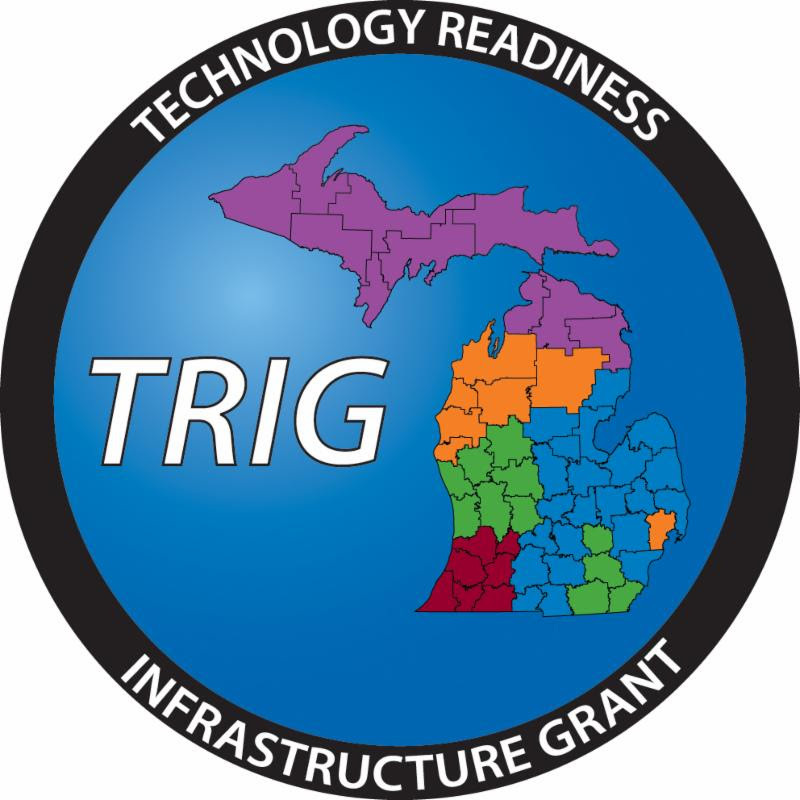 In Michigan, all districts participating in TRIG are required to have a technology plan. Best Practices Incentives may also include technology planning. E-rate no longer requires a technology plan for Category 2 as of FY 2015. The accreditation process and various grants may still require technology plans. Technology planning should be integrated into the School Improvement Process and MDE considers technology planning to be standard best practice. Training is currently being held for the new process. 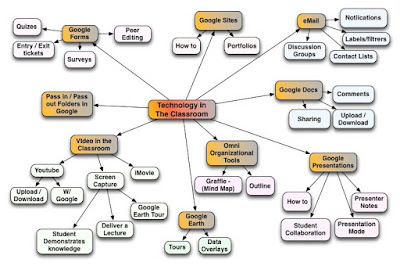 Please see http://22itrig.org/activities/activity-two/technology-planning/ for details and registration. This is a Goal Building Template for private schools and schools/districts that do not participate in the school improvement process here. Districts that do use ASSIST for school improvement may also use this as a template before inputting goals, objectives, strategies, and activities into the ASSIST platform. CIPA - Children's Internet Protection Act - FCC Consumer Guide. - 2011 update. If you have additional questions please contact Ann-Marie Smith, Technology Planning Coordinator and Communications Consultant, smitha24 at michigan.gov or 517-335-2775. Have you thought about getting your School Technology Management certification? Not sure where to take the courses. You can take them at the MSBO Conference. Here is some detail and it is not too late to sign up. The MSBO Conference is at the COBO Center in Detroit this year, April 28-30, 2015. This is a tremendous opportunity to get some awesome professional development with many others from all areas of School Business and Operations. Tuesday, the 28th, is preconference day and there is a Technology Leadership Preconference dedicated to technology topics. We have a great agenda for this day and you won't want to miss it. In addition to breakout technology topics at the general conference, there are many classes that can expand your knowledge of school operations in general. From labor negotiation to dealing with difficult people, you’ll find many topics of interest. There is also the largest educational exhibit show in Michigan. 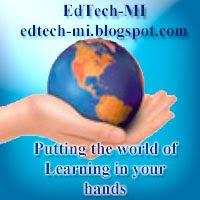 Michigan M-Step shows a strong showing with Chromebooks being used in year one testing. MDE looks to support Chrome Box and other chrome devices in future years further. For districts looking to get the most bang for their ed tech buck, devices that fall somewhere between tablets and traditional laptops can be just the right fit. Later this summer, Google and Asus are set to sell the Chromebit, a sub-$100 computer-in-a-stick that plugs into HDMI displays and runs Chrome OS. In the coming months, getting Chrome OS will be even cheaper, but you’ll need your own monitor, mouse and keyboard. This summer, Google said it will launch a new computer-in-a-stick called the Chromebit. The device, which is a small dongle that plugs into a TV or computer monitor’s HDMI port sort of like the popular Chromecast TV streamer, will run full Chrome OS and sell for less than $100. (The actual price is undetermined at this point.) 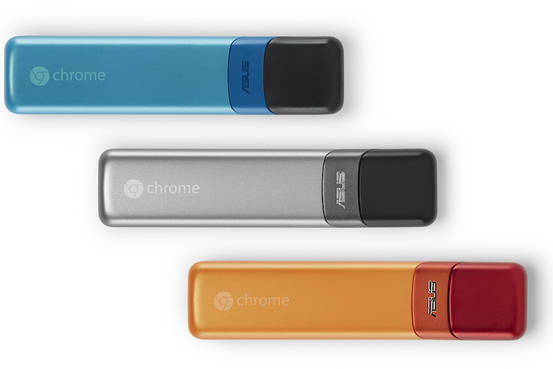 The Chromebit, a little smaller in size than a standard candy bar, will be built by Asus, Google said in a statement. Google also announced that more laptops, ranging from $200 to $500 will roll out over the next few months as well, from companies including Acer, Dell, HP, Lenovo and LG. The $250 Asus Chromebook Flip, a computer with a touch display that can turn and swivel around to be used in a more tablet-like style, is also expected. Though its release date isn’t yet announced, a Google spokeswoman said it should go on sale in the next couple of months. 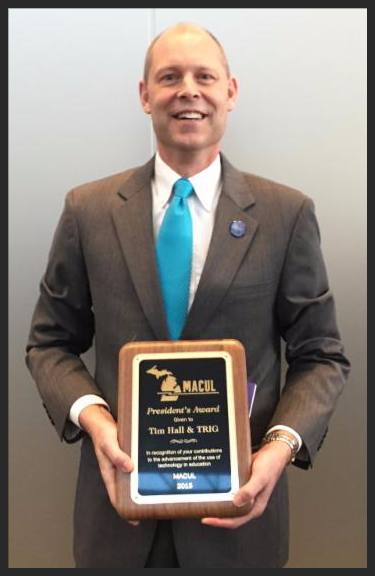 On Thursday, March 19th, TRIG and Project Manager Tim Hall received the MACUL President's Award before a crowd of near 5,000 attendees at the 2015 MACUL Conference in Detroit. This award is given annually to those who have made an outstanding contribution to further the use of technology to enhance teaching and learning in education - we could not be more proud to receive it! The accomplishments of TRIG are due to the cooperative efforts of many: the TRIG Steering Committee, the TRIG Consortia Leads, the Consortium Advisory Committees, the TRIG Project Managers, the TRIG Activity Advisory Committees, Work Groups, Evaluators,the TRIG Operations team, the participating districts with SPOT purchasing, the T3 course participants, and the collaboration of many organizations. We would not have achieved the results we have so far without them all! We would also like to congratulate the other MACUL award recipients of the day - Click here to see the full list: MACUL Award Recipients. Story of an Eagle - A Very Motivational Story! MUST WATCH! This tool looks like a great way to exchange assignments and Handouts. YouTube Kids This apps for iOS will help to make browsing for students safer. Khan Academy is on a mission to unlock the world's potential. Most people think their intelligence is fixed. The science says it’s not. Professor John Hattie, has been Professor of Education and Director of the Melbourne Education Research Institute at the University of Melbourne, Australia, since March 2011. He was previously Professor of Education at the University of Auckland. His research interests include performance indicators and evaluation in education, as well as creativity measurement and models of teaching and learning. He is a proponent of evidence based quantitative research methodologies on the influences on student achievement. In his talk he presents results from his research on what really matters for the student achievements. Dylan Wiliam unpacks formative assessment, discussing the five strategies that make up a smart formative assessment strategy: setting learning intentions, questioning, feedback, activating self, and activating peers. Dylan Wiliam stresses the importance of formative assessment as a key process for increasing teacher quality whilst having the biggest impact on student outcomes. He looks at some of the popular initiatives that aim to increase student achievement, such as learning styles, and presents research that shows formative assessment practices have a much greater impact on educational achievement than most other reforms. How to change education by going back to some basics Read, Talk, Write. What is the purpose of the MSBO Technology Committee? To learn more about the MSBO Technology Committee here is a link to further information. 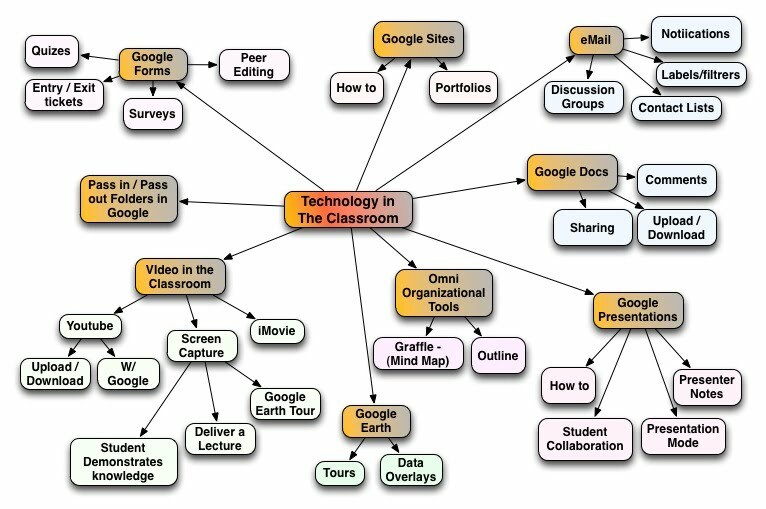 What Can Ed Tech Certification Do for You? A variety of programs can help K-12 technology professionals boost their knowledge and prepare themselves for the expanding demands of their jobs. 10 Best Innovations at CES 2015! What is a Chromebook? Chromebooks are a very low budget laptop with Google's unique operating system on board. This video explains what Chromebooks are and in general its layout, overview, and what it can and cannot do. Hope this helps you. This looks like any interesting way to put a Chromebook OS in a computer lab. Over the last 10 years, businesses, scientists and hobbyists from all over the world have been using Google Earth Pro for everything from planning hikes to placing solar panels on rooftops. Google Earth Pro has all the easy-to-use features and detailed imagery of Google Earth, along with advanced tools that help you measure 3D buildings, print high-resolution images for presentations or reports, and record HD movies of your virtual flights around the world. Starting today, even more people will be able to access Google Earth Pro: we're making it available for free. To see what Earth Pro can do for you—or to just have fun flying around the world—grab a free key and download Earth Pro today. If you're an existing user, your key will continue to work with no changes required.